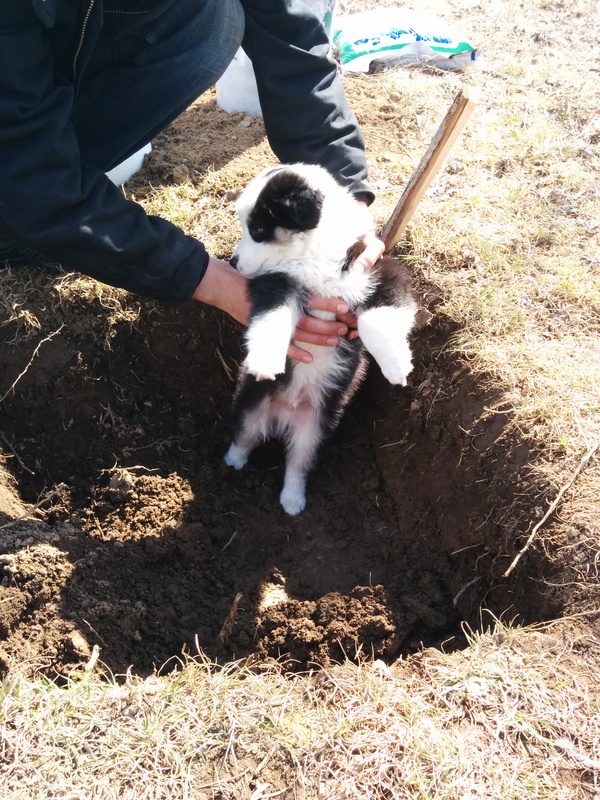 About 3/4 of a Frisk puppy deep! When we looked at our property we asked if the previous owners had gardened at all. They said that the original owners had a big vegetable patch in the back at some point so we assumed that we would be able to plant easily. It was not until the snow melted and we were able to dig that we realized we had purchased some pretty awful soil for planting. The bed rock is only 20 inches down (at the most) and above that the soil is compact, rocky and matted with dense weeds. 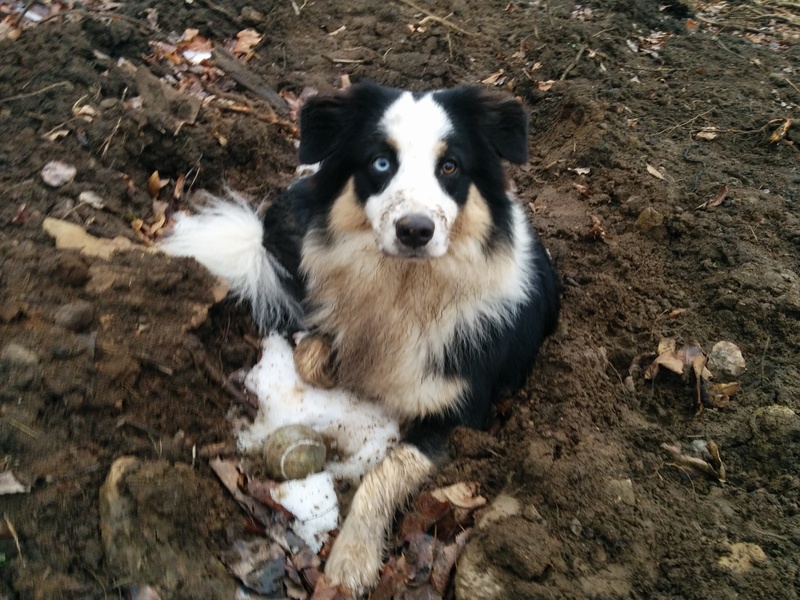 I dug our first bed and it was difficult but not impossible. That night we had a decent amount of rain and when I went to resume digging I found the hole was completely filled with water, it had not drained even a little. That was when I realized I was going to have to rethink the plan for our garden, it was not going to be as easy as we had hoped. 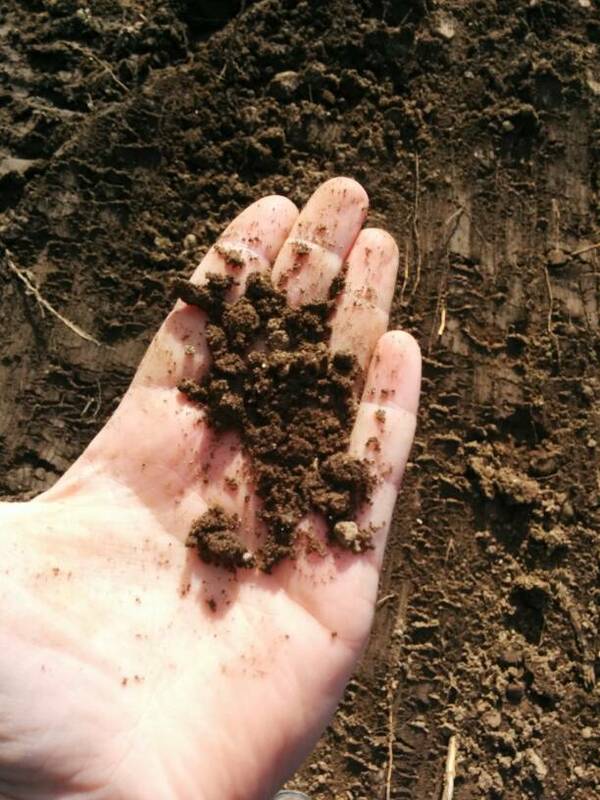 The texture of the soil is not bad. I would guess a loamy clay. 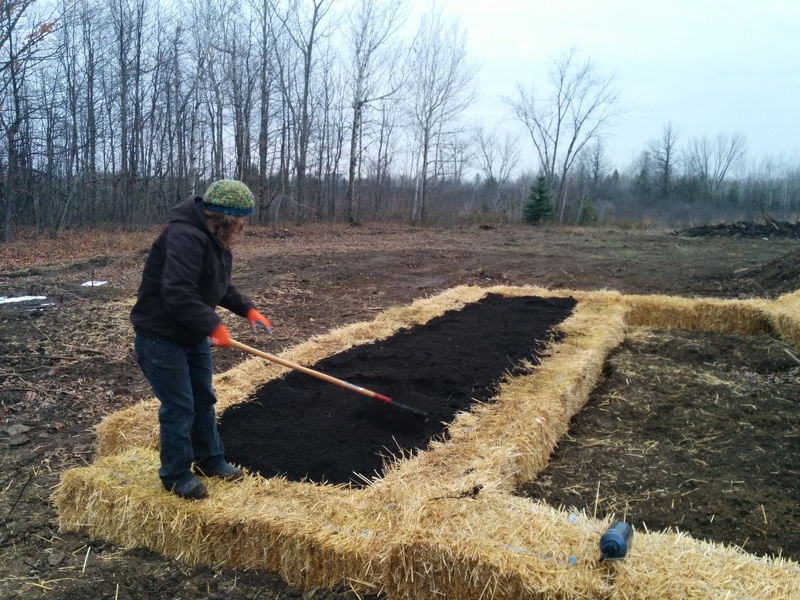 Throughout the summer we tried tilling the entire acre we plan to use as our garden space. The soil drained better but was still shallow, root filled and 70% rocks. I had the neighbor use his tractor to push the dirt back from the bed rock so we could sift it as we placed it back down. Tilling and sifting helped a lot but did not tackle the main issue: we just don’t have a lot of soil. 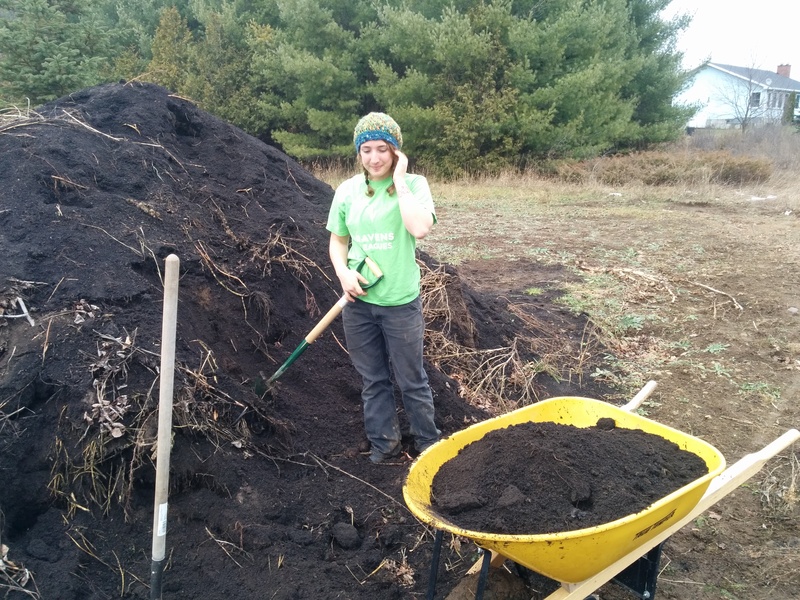 All of that soil needs to be sifted and picked through. To be completely honest we were pretty discouraged for a chunk of time. Sifting the soil was slow, exhausting work and we missed out on planting season. But after a trip to the mother earth festival and some research we decided we could do something about it. 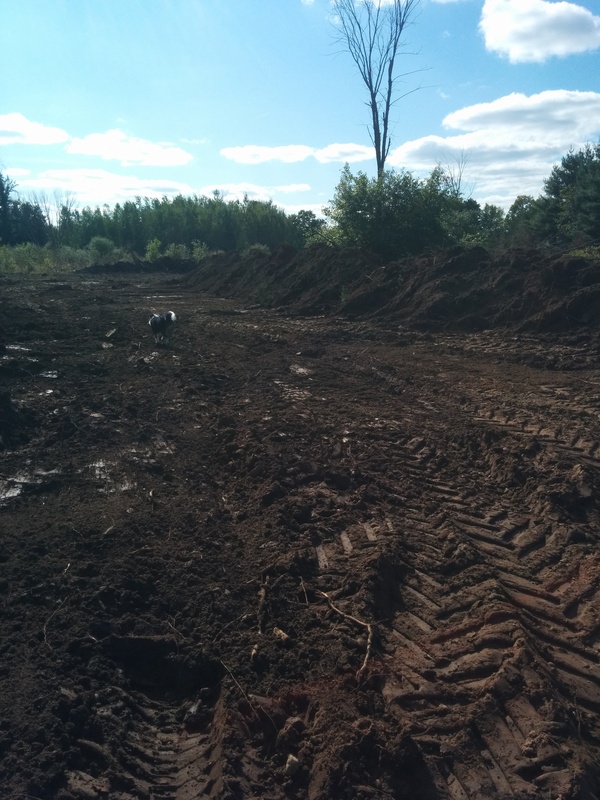 Now we are working toward raising the level of our soil, increasing the nutrient content and improving the soil structure. 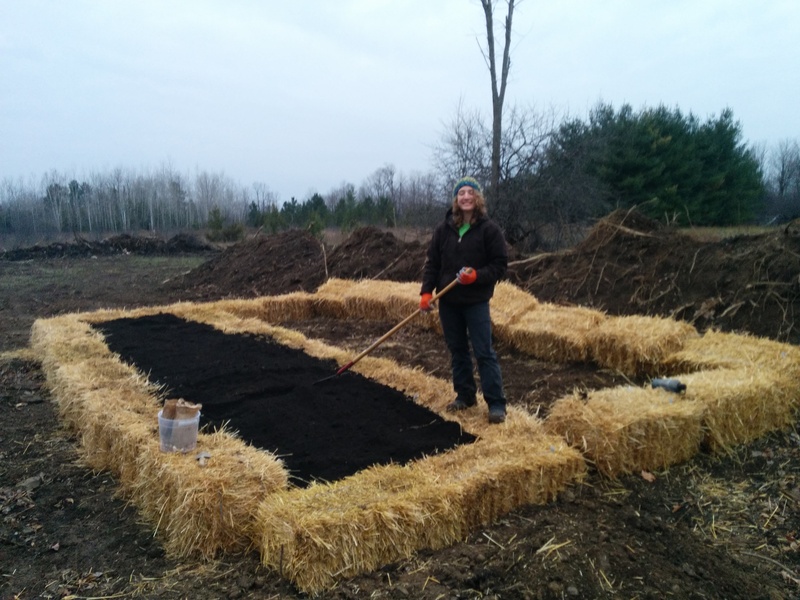 Our first step is raised beds using straw bales. We spent this weekend building our first raised bed and planting garlic. It did not take too long and was much easier than what we had been trying to do before. 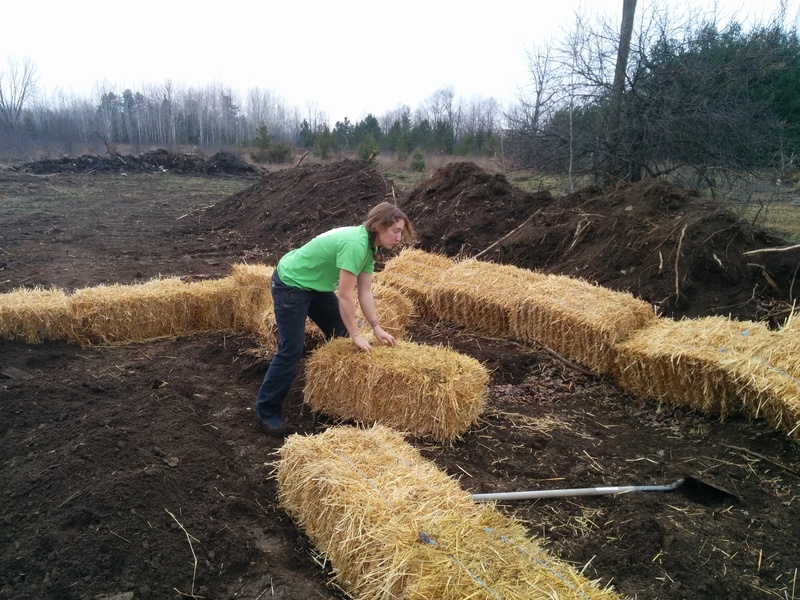 First we laid out the bales in the desired shape. This was really easy and kind of fun. The bales make great building blocks and make great walkways through the beds. 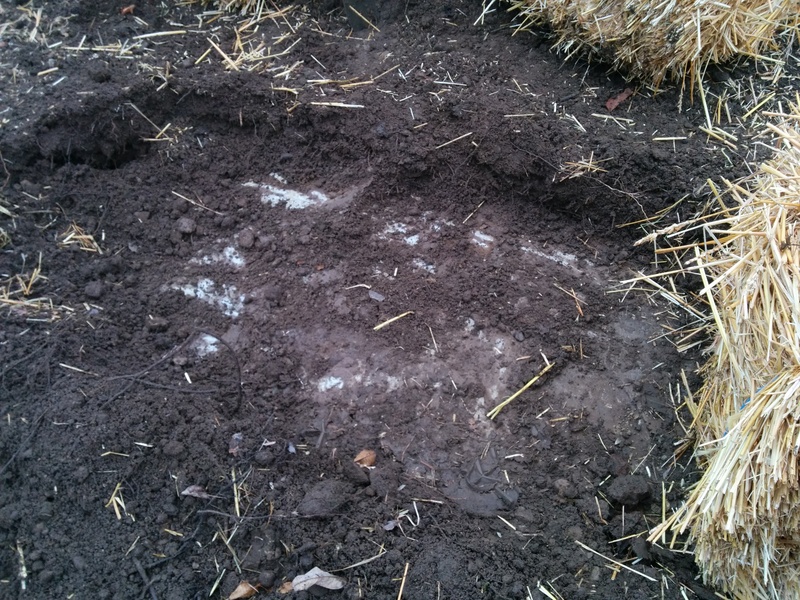 We then dug out a little under the bales to make the bed more stable. We used top soil purchased earlier in the season mixed with our sifted soil to fill in the beds. After raking the soil flat we managed to plant four pounds of garlic. We planted until it was pitch black out but we got it done!! Yay!! Unfortunately we will have to wait until the spring to really see what we think of this planting technique. 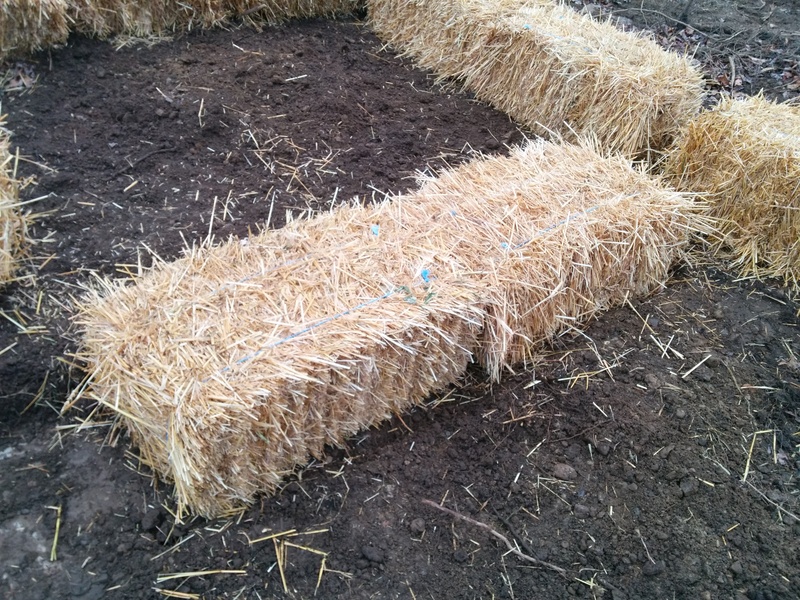 We are also planning to play around with planting directly in the straw bales. 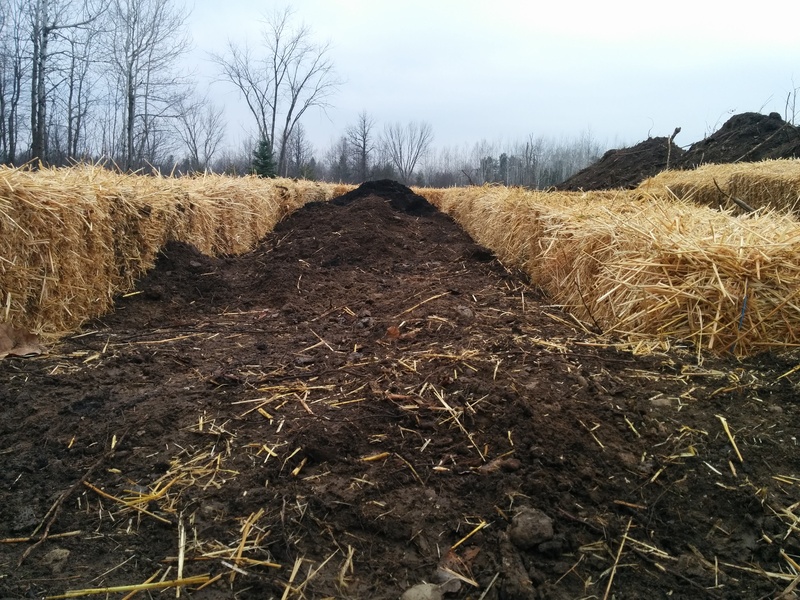 The bales will decompose overtime adding to the organic matter in the soil. You can read more about straw bale gardening here.